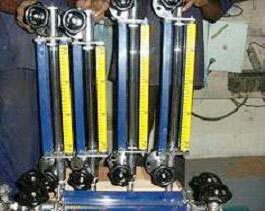 We are globally recognized for the excellent quality and quality assured Tubular Level Indicator. We have been catering to the requirements of various industries by offering engineer precision Tubular Level Indicator at the market-leading price. The precisely designed Tubular Level Indicator works efficiently as low pressure liquid level gauges; we have fabricated the same to meet the varying requirements of all types of boilers, pressure vessels and tanks. To provide full security, the Tubular Level Indicators are perfectly provided with the pair of auto shut off ball check valve arrangement. We also provide CC distance range from 500 to 3000mm all MOC.